Crewkerne is a lovely Somerset town with some great shops. We worked with writers in and around the town and there’ll be live performances all over the high street so put Saturday 31 May in your diary. 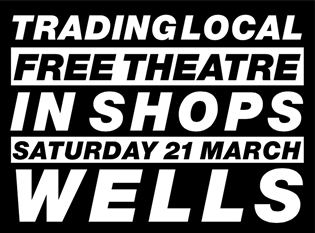 Join us in Crewkerne when six professional actors stage 48 FREE live performances in shops in the town centre.